The Welch Group has been a shareholding member of the Palletline network since 2010 and a member of the Hazchem network since 2006. Both of these networks provide us with a wealth of benefits that help to improve the quality and breadth of Welch’s Transport Ltd's services. Today Palletline represents a powerful national body in the haulage and logistics industry, employing over 12,000 people across the network, operating over 6,000 vehicles, with access to over 5 million square feet of warehousing space. The Palletline culture is built around an ethos of partnership for quality and performance. Only the best are selected to join its established network of high quality, financially secure and independent haulage companies. 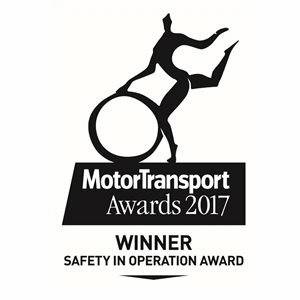 It was the first pallet network to take the initiative in providing a safer working environmen for hub personnel, drivers and consignees by the introduction of LIft Assist And Palletline's excellent Health & Safety record is validated by continually being awarded the Motor Transport Award for "Safety in Operation". It has a UK-unique, six-year relationship with Amazon as its preferred carrier with access to its CARP system to allow consignments to be delivered into all Amazon FC's by consolidated load each day. Take a look at this news item for a glimpse of the next stage in the development of this unrivalled relationship. And just to add that extra level of quality to our service offering, Welch's can now boast that their MD Jim Welch, has been appointed "Palletline Board Chairman"
The Hazchem Network is the only pallet network dedicated to the safe delivery of hazardous chemicals, backed by the biggest names in UK hazardous goods transport industry. The Network was established in 2004 and is a winner of the 2005 Logichem European Supply Chain Project of the year. The network offers next day nationwide service for single (or greater) pallet or parcel consignments, handling over 1,000 pallets and many parcels every night at its central Rugby hub and delivers, through 40 ADR Transport members, into every region of the country. A selected number of international members also deliver to 24 European countries; it’s the same simple service for one or more pallets for all of Europe, from Romania to Portugal, from Finland to Greece.